Table of Contents How to Master Your Wealth, Gangsta Style! Don’t manage your money like an old white dude. Manage your money like a gansta! Learn how via our rap video and new book, Mastering Mint. We are very excited! 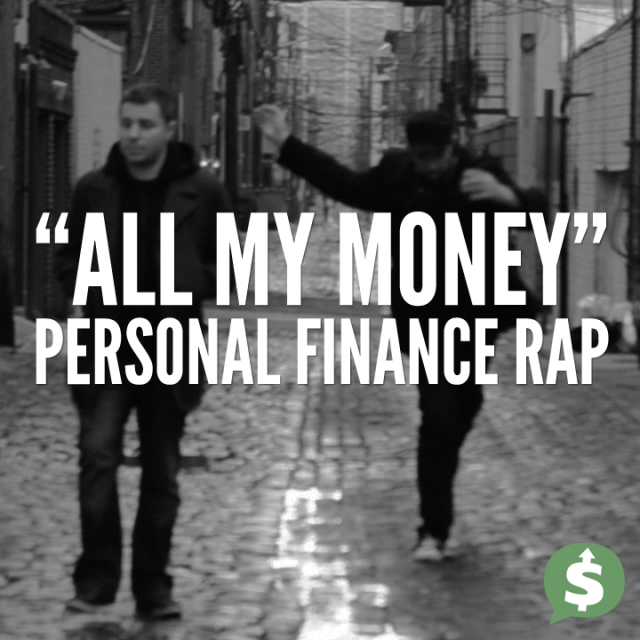 Tomorrow (February 18th 2014) we debut our first personal finance rap video called “All My Money.” We spent over two months working on this project. Matt wrote and recorded the song in December, and after another month of planning, drove up to New York for a weekend with Andrew to film the video. We are very proud and hope that people really enjoy the video. If early feedback is any indication, we are banking on a real success. Check out the “The Making of All My Money” video to see how we created it. Subscribe for a free chapter of our book on automating your finances - Mastering Mint. Andrew has been working hard for the past two months writing this epic guide to using Mint.com. When I first got to look at his final draft, I was blown away by the things that Mint can do. It was Matt’s job to take Andrew’s words and turn them into a pretty PDF that will be available to download tomorrow. Both projects were intense. Matt and Andrew have been neglecting their personal lives to complete these projects and we couldn’t be more excited to announce them. If you don’t currently budget, the Mastering Mint Book is for you. It will teach you how to get the most from Mint and make things as automated as possible. Mint allows you to set up alerts, when a bill is due, when you are nearing the top of your budget, when you have been charged a fee. Mint is portable! You can download it onto your phone and use the odds moments you have when you’re waiting on line, waiting for your chronically late friend to arrive to categorize your transactions. Much more productive than Candy Crush. You don’t need graph paper and spread sheets to manage your money in the 21st Century. Mint can do it all. Mastering Mint: The Quickest & Easiest Way to Get Started with Mint.com is our latest downloadable guide to using Mint.com. Mint: Our favorite budgeting site.